Golden Agers travels the world to catalog some Strange Curiosities. Colonel Whiteshroud does a tour of haunted houses, Queen Ambia protects her kingdom against an army of darkness, The Heap rises from the swamp to fight Nazis, Jack the Ripper might make a comeback, learn some old vampire movie clichés, see the history of the Cursed Sword, Blonde Bomber solves a murder, The Devil Of The Deep keeps a sunken treasure, Frankenstein finds his creator a date, The Strange Mr. Milque is a wimpy vampire looking for a bride, Hack O'Hara seeks a skeleton, The Brain comes back to life, a valiant knight duels with demons for The Tower Maiden, The Weaver spins a stunning tale, Doctor Graves goes for ghosts, Samurai duels with the dead, Blood Urge has a vampire stalking his prey, and a battle robot protects the Earth from aliens in War Toy. Supernatural silliness in this chaotic collection! 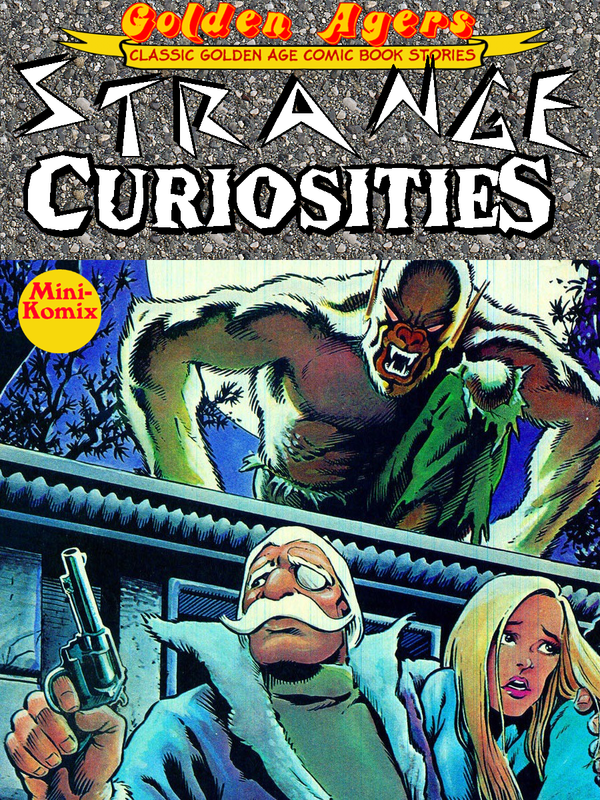 This is ready for download at Lulu and Drive Thru Comics, plus as part of the Golden Agers: Strange Series Bundle. Don't touch that dial! Fill up your cereal bowl and get ready for some serous cartoon craziness! 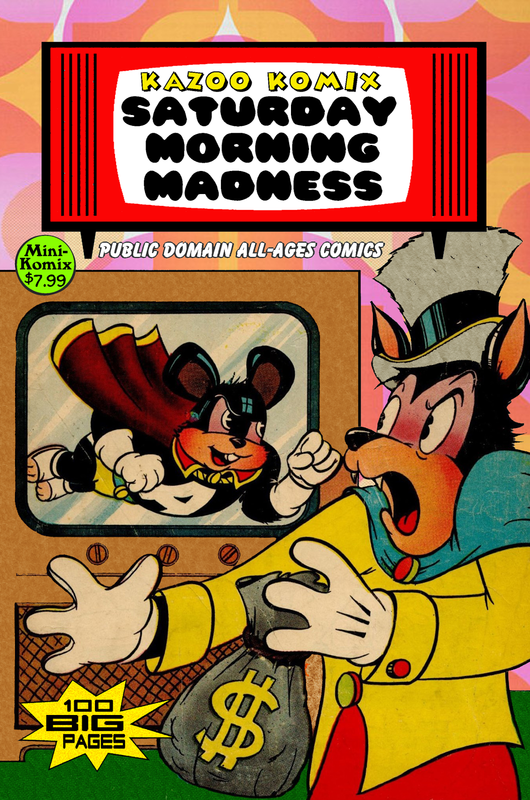 Saturday Morning Madness reprints all-ages Golden Age comics for the kid in all of us! Starring: Hoppy, Tom the All-American Cat, Bungle of the Jungle, Skool Yardley, Sherlock Monk, Timmy the Timid Ghost, Cubby Bear, Uncle Butch, Daffy, Atomic Rabbit, Rock and Rollo, Superdog, Pudgy Pig, Gunsite Gus, Buzzy Bee, Hobo-Ken, Willie the Worm, Atomic Mouse, Vita Min, Dizzy Daisy, Fuzzy, Tarheel, Lil' Rascal Twins, and Atom the Cat! Family-friendly fun for everyone! 100 Big Pages! You can order this from us, or get it at Lulu.com. 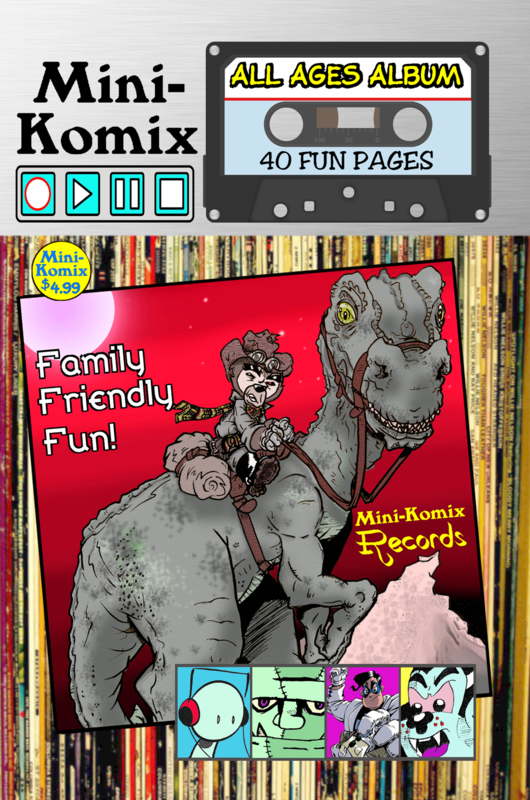 Mini-Komix plays an All Ages Album for the kid in all of us! This graphic novel collects family friendly short stories like the size-changing superhero known as The Plus, Monster and The Rockits band together, go to the ghastly town of Gloomstadt, the time travelling T.E.D. searches for the Infinity Compass, and more! Comic craziness for the young, and young at heart! You get this in print through us, and at Lulu.com. Labels: Comics & Printed Books, T.E.D. Dizzy Dames buys admission for Models And Showgirls! Funny females from the Golden Age of comics starring: Mopsy, Patsy Pinup, Silk, Her Highness, Mitzi of the Movies, Countess Nat, Broadway Babes, Careese, and more! The hottest hostesses from here to Hollywood! You can download this now at Lulu and Drive Thru Comics, as well as part of the Dizzy Dames Bundle. Golden Agers cracks into the case files of the greatest Gumshoes in comics! 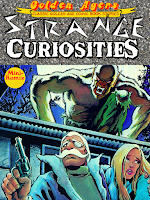 Dazzling detective stories starring: Dan Turner-Hollywood Detective, Sally the Sleuth, Catman, Kitten, Deacon, Seniorita Rio, Ray Hale-New Ace, Scoop Smithy, Miss Masque, and Sky Rangers! Mystifying mysteries and gorgeous gals galore! You can download this at Drive Thru Comics, plus as part of the Golden Agers: Adventures Collection Bundle.